Fassbender to Choose Villain Role in "X-Men: First Class" or "Spider-Man 4"
Few people saw their career gain as much steam in 2009 as Michael Fassbender, who is now faced with a choice between lead villain roles in two of the biggest and best superhero franchises. Fassbender has been offered the role of the young Magneto in "X-Men: First Class" and the as-yet-unidentified bad guy in "Spider-Man 4," according to Hollywood 411. Magneto, previously played by Sir Ian McKellen, would be a nice fit for Fassbender, though he seems like a bad match against James McAvoy as a young Professor Xavier. As for "Spider-Man," our friendly neighborhood webslinger has already faced off with the Green Goblin, Dr. Octopus, Sandman and Venom. During the whole Sam Raimi-Sony meltdown that led to Marc Webb being named director of "SM4,"the Vulture and Black Cat were the baddies being mentioned the most -- Fassbender would be a good fit for one, but definitely not the other. Kraven the Hunter, aka Sergei Kravinoff/Vlad Kravinoff/Alyosha Kravinoff: We love the idea of Fassbender wrapped in pelts tearing across New York City in an attempt to put Spider-Man's head in his trophy case -- and so will the ladies. Lizard, aka Curtis Connors: The guy accidentally turned himself into a reptile while trying to regrow his arm. Spidey helps find a cure that proves tragically short-lived and turns Connors into a bad guy. Morbius, aka Michael Morbius: Wouldn't it be nice to again have an irredeemably evil vampire in the zeitgeist? It would be a serious roll of the dice for Fassbender to take this role without knowing who's going to play Spider-Man, though maybe Sony has assured him that the rumors about Jamie Bell (Fassbender's "Jane Eyre" co-star) are true. 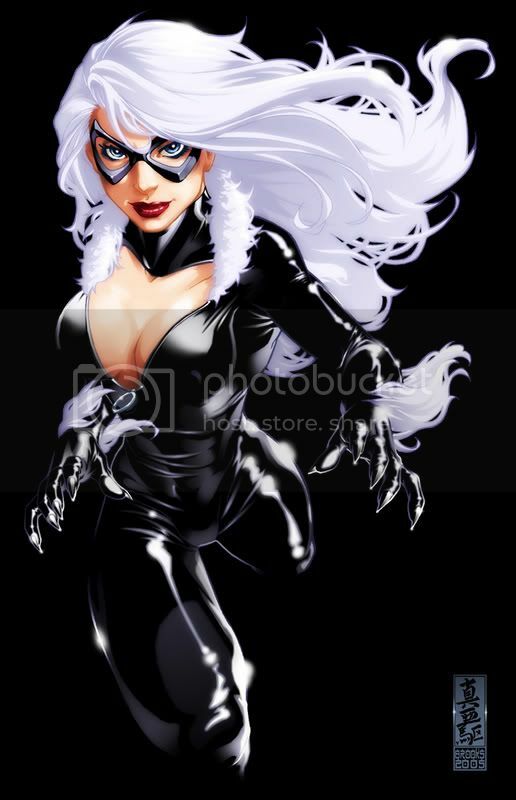 That Fassbender is in the mix is a pretty strong indication that Sony has backed off of Black Cat, who was pretty clearly little more than an excuse to put a hot young actrees into this outfit like oneofthese. Having received raves for his roles in both "Inglourious Basterds" and "Fish Tank," Fassbender has been fielding offers left and right since last year. In 2010 alone, he's starring as a Roman soldier in "Centurion," a goon in "Jonah Hex," and opposite Mia Wasikowksa as Rochester in Cary Fukunga's "Jane Eyre." He'll also be starring in Steven Soderberg's "Knockout," about a black-ops agent out for revenge against the people who betrayed her and as Carl Jung opposite Viggo Mortensen's Sigmund Freud in David Cronenberg's "A Dangerous Method."